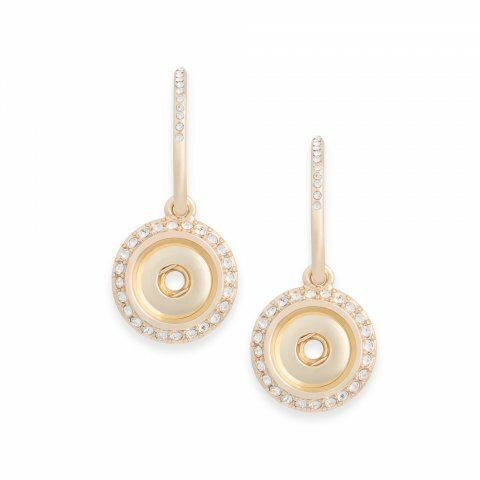 These everyday earrings are taken up a notch with the additon of a frame of sparkling crystals surrounding the center snap and running along the hoop. When paired with your favorite 12mm Dot, you will have created a look all your own! Just recently got these to go with my Rose gold Key necklace. Liked them so much I ordered them twice. Will make a great gift ! !